I love this sent! It is crisp and fresh! One of my favorite Lacoste fragrances! This is very ideal for spring and summer! If you like a sporty citrus sent this is one of the best! 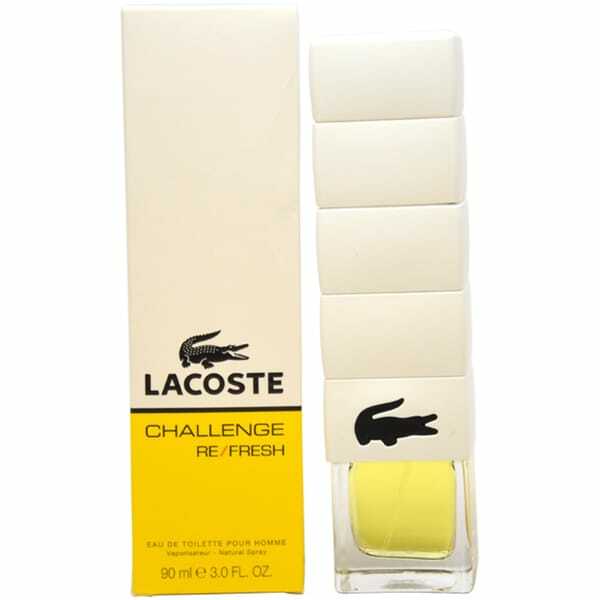 Launched in 2011, 'Challenge Refresh' by Lacoste features a masculine spicy-woody blend of birch, cardamom, oregano, rosemary, patchouli and tolu balsam. This men's eau de toilette is available in a 3-ounce spray.